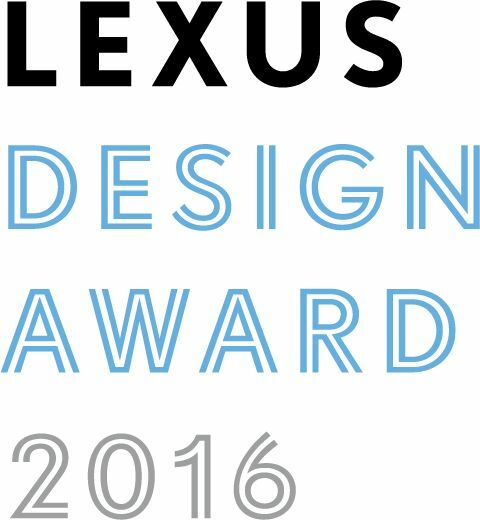 (TORONTO, ON – January 26, 2016) Lexus International today announced the 12 finalists for the Lexus Design Award. First launched in 2013 to foster the growth of ideas that can contribute to society, this international design competition aims to support young up-and-coming creators from around the world. A panel of world-renowned designers and creators gathered in November to judge the entries. This year, entrants impressed the judges by creating designs as yet unseen or undefined but likely to be realized in the near future. After extensive discussion, and after noting the participants’ passion and willingness to explore the unpredictable, the judges chose 12 finalist entries for their potential contribution to design innovation. AGAR PLASTICITY, by AMAM (Japan), is a project exploring how agar, a gelatinous material obtained from the marine algae, can be used as an environmentally friendly packaging materials alternative to plastic. DADA, by Myungsik Jang (Korea), is a block toy which can be freely combined using bands, holes, and pegs to create and realize each child’s imagination. Shape Shifters, by Angelene Laura Fenuta (Canada-based Italian designer), is a special cut of garment, applying modular principles to textiles, which allows creating different fashions outfits. Trace, by STUDIO AYASKAN (UK-based Turkish designers), is a clock that uses a liquid with UV rays and discoloration properties allowing us to visualize the passing time. Architects and interdisciplinary designers Neri & Hu, along with designer Max Lamb will return as mentors, while designer/architect Elena Manferdini and artist/architect Snarkitecture join as the mentors for the first time. The four completed prototypes will be featured as part of the Lexus exhibition at this year's Milan Design Week, along with panel presentations of the other eight finalists’ designs. The event will run from April 11 through April 17 at T32 Torneria/Carrozzeria, Via Tortona 32, 20144 (Zona Tortona). The Grand Prix winner of the Lexus Design Award 2016, selected from the four prototype finalists, is going to be announced on April 11 at the award ceremony. Further details on the Lexus space at the 2016 Milan Design Week* will be announced in mid-February. AGAR PLASTICITY is a project exploring how agar, a gelatinous material obtained from marine algae, can be used as an environmentally friendly packaging material alternative to plastic. DADA is a block toy which can be freely combined using bands, holes, and pegs to stimulate each child’s imagination. Trace is a clock that uses a liquid with UV rays and discoloration properties, allowing us to visualize the passing time. Bio – Vide is a product, such as tables or envelopes, designed using fallen leaves. It is a visualization of the concept that all things return to earth. Drop Box utilizes aerodynamics to allow critical supplies to be airdropped safely in disaster areas without requiring a parachute. PLANTS-SKIN is a planter made of a colored mortar and special ink that visualizes the timing for watering plants. Project Play is a first-of-its-kind lamp powered by wireless technology and realized through the creation of magnetic rubber. A modern day artificer, Max Lamb is a product and furniture designer whose design sensibility is informed by his extensive knowledge of manufacturing techniques, respect for materials, and skill as a maker. A native of Cornwall, Max has been tinkering with objects and engaging with the physical landscape since he was a small boy; a curiosity that led to an MA in Design Products at the Royal College of Art and subsequently the foundation of his workshop-based design practice. Max explores both traditional and unconventional materials and processes, blending experimentation and rationale to create furniture and products that are both honest and intelligible. Max teaches Design Products at the Royal College of Art and runs regular design workshops for companies and institutions around the world. Elena Manferdini, founder and owner of Atelier Manferdini, with offices in Italy and California, has completed design, art and architectural projects in the United States, Europe and Asia including the Pavilion of the Museum of Contemporary Art in Los Angeles. Her firm has collaborated with such internationally renowned companies as Swarovski, and Sephora and her work has been featured in journals and publications including Elle, Vogue and the New York Times. Currently Graduate Chair at the Southern California Institute of Architecture she exhibits internationally and lectures widely having spoken at MIT, Princeton, Tsinghua University and Bauhaus. She was recently awarded the 2013 COLA Fellowship to support the production of original artwork. In 2011 she received a prestigious annual grant from United States Artists (USA) and her Blossom design for Alessi received the Good Design Award. In 2008 Daniel Arsham and Alex Mustonen founded Snarkitecture, a collaborative and experimental practice operating in territories between art and architecture. Sharing a mutual interest in the intersection of art and architecture since their student days together at Cooper Union in New York, their first commission was for Dior Homme. Deriving its name from Lewis Carroll's fanciful poem "The Hunting of the Snark", Snarkitecture designs permanent, architectural scale projects and functional objects with new and imaginative purposes, creating moments of wonder and interaction that allow people to engage directly with the surrounding environment. Transforming the familiar into the extraordinary, Snarkitecture makes architecture perform the unexpected. Antonelli joined The Museum of Modern Art in 1994 and is a Senior Curator in the Department of Architecture and Design, as well as MoMA’s Director of Research and Development. Her first exhibition for MoMA, Mutant Materials in Contemporary Design (1995), was followed by Thresholds. She has lectured at the World Economic Forum in Davos, and has served on several international architecture and design juries. Her goal is to insistently promote understanding of design until its positive influence on the world is fully acknowledged and exploited. She is currently working on several shows on contemporary design, and on Design Bites, a book about foods from all over the world, appreciated as examples of outstanding design.